These fish are very heavily eaten and farmed by the people of many Asian and oceanic countries and are even regarded as the national fish of the Philippines. Wide spread throughout the islands but the most tasty ones comes from Dagupan. Milkfish is low in sodium, It is also a good source of vitamin B6, Phosphorusand Selenium, and a very good of Protein, Niacin and Vitamin B12. 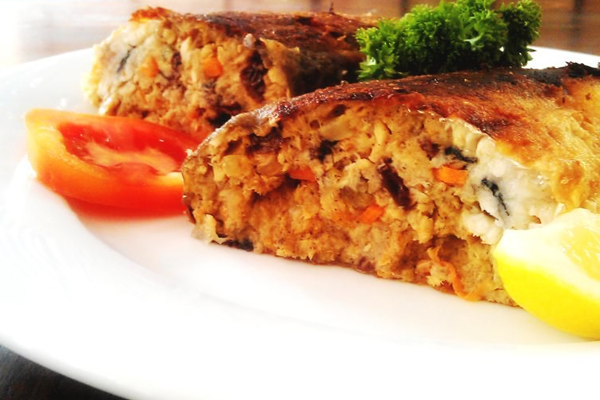 There are many milkfish recipes available and stuffed milkfish or rellenong bangus is one of the best. 1. Himayin ang laman ng isda. Remove the bones from the fish innards. 2. Wash the ground pork. 3. Slice the singkamas, carrots and potatoes into very small cubes. 4. Pound the garlic. Slice the onion into shredded pieces. 5. Heat the oil. Sautee the onion and garlic. 6. Add the ground pork and the soy sauce. Let it simmer for 2 minutes. 7. Add the fish innards (laman ng isda). Add the singkamas, carrots and potatoes. Cook. 8. Add the raisins. Mix all together. When cooked, set aside. 9. When fish innards mixture is cool, return to the Bangus skin until the Bangus is completely stuffed. 10. Wrap with aluminum foil. Bake for 5 minutes.